Now you see them, now you don’t. Hundreds of species have already undergone ‘local extinctions’ because of climate change, according to new a study. As overall temperatures increase around the world thanks to climate change, plants and animals are starting to shift their geographic range closer to the cooler poles of the planet, or higher up the slopes of mountains. The results are small scale ‘local extinctions’ – where a species cannot be found an area where it once lived, but has not been wiped out completely. To get a handle on just how widespread these local extinctions are, Prof John Wiens from the University of Arizona has trawled through the published literature pulling together all the available studies examining climate-related shifts in species range. 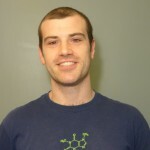 His results, published today in the journal PLOS ONE, capture data from 27 separate studies, covering a total of 976 species around the world. Of those 47 percent had experienced a climate-related local extinction. A closer look at the data found that local extinctions were almost twice as common among tropical species as among temperate species. This is important as the majority of plant and animal species on Earth live in the tropics. Read more about the research on Scimex.org. 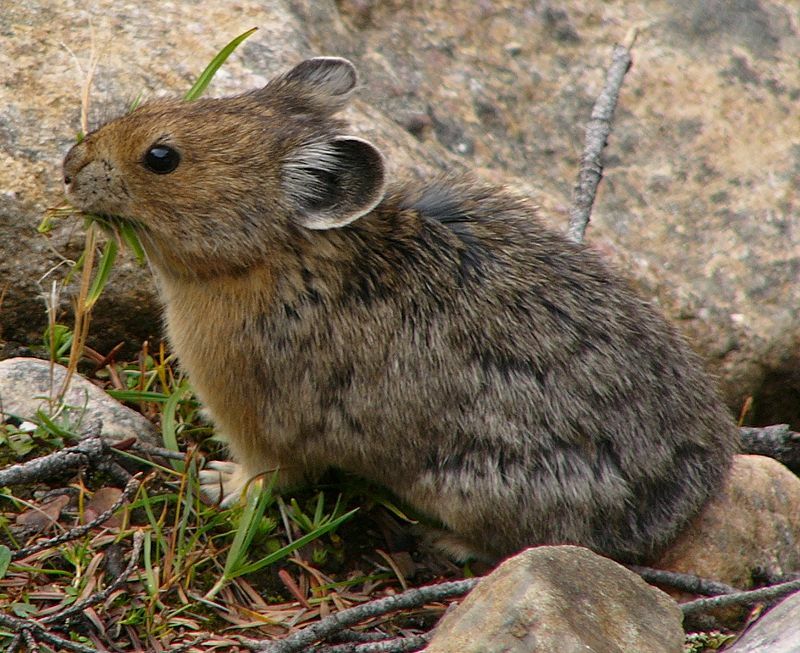 The American pika, a small mammal related to hares and rabbits, is one of the the species covered in the research. It is incredibly sensitive to changes in climate and will die within six hours if caught in temperatures above 25.5 °C without shelter. Records collected over the last 100 years show that in the last decade American pika have undergone numerous local extinctions in western North America and have shifted their geographic range to higher elevations at an estimated rate of 145m per decade. Wiens’ study did not include any New Zealand species, but some from wider Oceania can be found in his analysis. 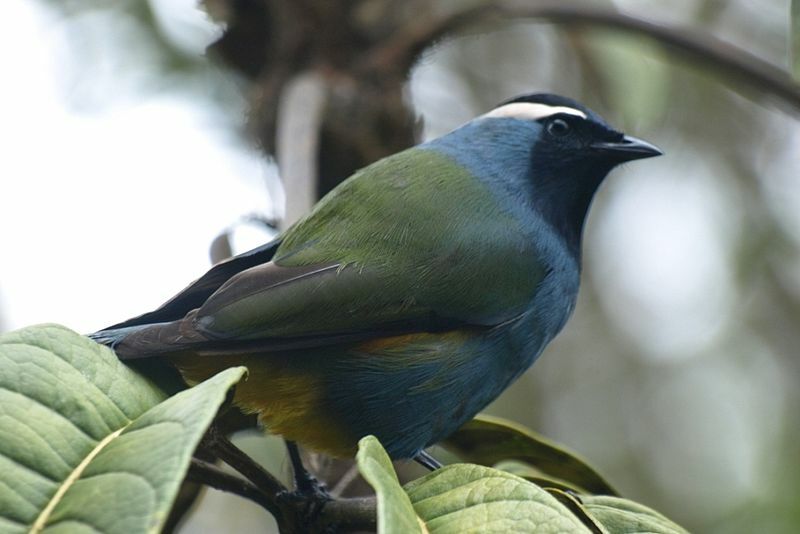 In Papa New Guinea temperature increases have seen the Crested Berrypecker retreat up the slopes of Mt Karimui since the 1960s and now the birds are currently restricted to the immediate vicinity of the summit. A further ∼1°C temperature increase would likely lead to the end of the Crested Berrypecker – and other several other bird species – on Mt Karimui, although populations may persist on taller mountains elsewhere in New Guinea. The absence of New Zealand species in the research doesn’t mean it isn’t happening here, just that any climate-related local extinctions haven’t been documented in the published literature. This may be due to a lack of long-term species monitoring in New Zealand, a point noted by international researchers earlier this year. These local extinctions offer a potentially important but underutilized source of information for the challenging task of predicting patterns of species survival and extinction in the future. The study’s conclusions in this regard don’t end on a high note. Overall, these results suggest that local extinctions related to climate change are already widespread, even though levels of climate change so far are modest relative to those predicted in the next 100 years. These extinctions will presumably become much more prevalent as global warming increases further by roughly 2-fold to 5-fold over the coming decades. In brief, sampling adult beetles by pitfall trap was never going to tell us anything (and hasn’t told us anything). Putting “Open-Top-Chambers” over vegetation to simulate “climate change” is mindblowingly ridiculous! Pitfall traps are a measure of nocturnal surface activity of adult beetles. Any effect of higher temperature is likely to be on development (from egg, through larva and pupa to adult). The traps are kill traps, so they are taking adult beetles out of the system over a long period of time. All that appears to be happening is that these adult beetles are being quickly replaced by others from the surrounding area, which would mask any small effect of a temperature increase, even if there was one (kind of like running a dehumidifier with the window open!) Any effects of temperature on development are undetectable in the noise of adult beetle activity. They don’t even know which species of beetle they are dealing with! They are an uknown mix of truly alpine species and ubiquitous species with wide temperature tolerances. Yes, that seems to be a common response, to which I cannot agree. Firstly, wholes are made up of lots of fractions put together, so your argument would also run as "why bother trying to solve a problem which is only a fractional part of a much bigger problem?" Well, I don't actually know of a way to go about trying to solve big problems all in one go, do you? Secondly, as something of an (albeit imperfect) analogy, you can't say "but Mr. Policeman, I only stole a few thousand dollars, so why are you picking on such a small fish as me?" Thirdly, I don't know exactly how much money was involved, and presumably neither do you. I'm just saying that the more money that is involved, the bigger the waste. Furthermore, the study found no significant effect in the 4 years worth of data, but the suggested upshot by those involved is that maybe 4 years worth of data isn't enough to find an effect. In other words, keep giving us funding and we'll keep doing it! My "position, interests, and possible biases" are not relevant. I am merely giving an example (without naming names) to suggest that we need to keep up a healthy level of scrutiny on "climate change research", given that it seems to now be the main funding source for a lot of environment related science. I really can't see people who can get such funding saying "no thanks, please don't give us any more funding for that, we can't really address the question meaningfully, it is in the too hard basket! ", can you? Their reliance on such funding for their livelihoods is a very significant possible source of bias affecting the science. I am alarmed at the possibility that universities (along with partners in industry) would be prepared to train potential future scientists by way of nonsense projects, created simply to strategically ditch uneconomical public funding intended for meaningful "climate change research". My name is already stated. I am simply commenting on a blog post, that is all. The blog post is based on a study (in PLoS ONE) which relies on other published studies, many or all of which were funded as “climate change research”. It would be naive to think that these studies are immune to problems relating to “climate change research” funding just because they have been “officially” peer reviewed. Just reminder that comments should be relevant to the original post (https://sciblogs.co.nz/terms-and-conditions/) Sciblogs allows commenting as a space for readers to discuss content, but it isn’t forum where you get to raise whatever views are on your mind. Well, “relevance” is a matter of degree. Anyway, as the blog post author you might like to comment on whether you think that the results of climate change research can be, on the whole, trusted to be unbiased by funding issues? If they cannot be trusted, then it kind of undermines your post. The main problem here seems to me to be that if results of “climate change research” aren’t seen to confirm that there is a negative effect on the planet from climate change, then the scientists risk reduction in funding. This leads to cases whereby no effect can be found, so they say “but if we did it for longer, we might be able to find an effect!”, all of which keeps the money coming in, but the science becomes beside the point. @Stehpen Thorpe – you seem to be propounding the view of many climate sceptics that climate change-related research is some giant gravy train for researchers who wilfully manipulate their results to try and ensure ongoing research funding. That’s little more than a conspiracy theory. There are issues to do with ethics, objectivity, confirmation bias etc with scientific research in every discipline – that’s what the peer review process is there to deal with. It’s not perfect, but by and large it works. I think you’d be better off contributing to efforts to uphold high standards of peer review rather than acting as unofficial peer reviewer of your colleagues work, which as you say yourself, clearly isn’t that welcome. No, the “conspiracy theorist” label doesn’t stick. Conspiracies are by definition extremely serious and therefore rare. A “conspiracy theorist” is someone who sees conspiracies everywhere, which they clearly are not. I am more of a “shenanigans theorist”. Shenanigans are less serious (but still serious to some extent) and far more common. I don’t see them everywhere, but I do see them disturbingly frequently. Actually, I think you put that very well, “climate change-related research is some giant gravy train for researchers”. Bingo! Got it in one! Well, yes and no. “Wilful manipulation” is a bit extreme (and therefore rare). But, as I said, who is going to say “sorry, don’t bother giving me any more funding for that, it is too hard!”? It is more about cobbling together nonsense projects on which to efficiently spend funding, putting a climate cahnge spin on stuff that really isn’t relevant, and suggesting that the lack of the desired result is due to the study not being long enough (so keep giving us the funding and we’ll keep trying!) These are the sorts of shenanigans that I see all too frequently. Climate change is a huge and complex issue. Does anyone really think that putting “Open-Top-Chambers” over vegetation in the Fiordland mountains and sampling adult beetles around the base is going to be able to give us even an inkling of “the responses of alpine beetles to climate change”? It is a complete non sequitur! Its hard to untangle your wider criticisms of climate change research from your ire over this particular master’s student study. I’m going to put aside the specific study you mention as the full details are unclear and it is not really on topic here. You ask: “Can the results of climate change research can be, on the whole, trusted to be unbiased by funding issues?” I would respond in the affirmative, noting the general caveats described by Peter. With reference to the PLOS ONE study, it seems you are concerned that the species range shifts documented in the 27 articles covered in the review are the product of biased funding. I would argue that they are not. Instead what I think happened was that the warming temperatures caused populations to move where they lived and grew and biologists in the field documented these shifts. Maybe these biologists received funding because they were actively investigating species where there was concern about climate change affecting their habitat. Maybe some were just carrying out routine monitoring and discovered that population changes had occurred. Should either not have received funding? Your main concern seems to be that some poor research is undertaken under the mantle of climate research . That is a issue that could be raised with ANY field of research. Are funding bodies playing fast and loose with climate change research funding, but much more fastidious about about research on anitbiotic resistant bacteria or exoplanets or graphene nanostructures? All up, I wholeheartedly agree with your overall position that research should be of good quality to be funded. Thanks for your comments. I will, if I may, answer the questions you posed and also make some additional comments. That’s probably because this particular study is a good example of the sorts of shenanigans that go on. Please note that my comments regarding this study have absolutely nothing to do with the student or students who have done, are doing, or will do this project. My comments are about the project itself. By analogy I could be criticising a course without any relevance to who is enrolled in that course. My “ire” for this particular project is no more or less than my ire would be for any scenario in which funding intended from climate change research was diverted to something rather badly cobbled together, for the purposes of not having the funding lingering like an albatross around the neck of people working in profit motivated industries (like CRIs, for example). Well, what is unclear is how the experimental design relates to the question being asked, and that’s the whole point! It should not be so unclear. Clarity should be one of the most fundamental requirements for funding. Not quite as easily! Researchers and their loved ones are also at risk from cancer, so there is a clear motivation for finding cures, etc. You could I suppose say that researchers and their loved ones are also at risk from climate change, but that is a bit of a push. Certainly I’m far more worried about the risks of cancer over those of climate change. At any rate, there may well be the same issues, to more or less of an extent, in all areas of research, including cancer research. I really don’t know. I can only talk about the area of research of which I have some connection. Maybe I’m just thick, but it is hard to wade through the details in this article in a meaningful way. The basic idea of it seems to be that there are a bunch of moth species on some tropical mountain, all with narrow altitudinal ranges. Over the last 42 years, it appears that these ranges have been creeping upwards for many of these species. Well, I’m not convinced. They have interpreted their results in terms of climate change, but the link seems tenuous at best. They didn’t do comparable sampling every year for the 42 years, just in 1965 and 2007, so, as I see it, they don’t have any idea of the natural fluctuations that may take place (they are making the BIG assumption that without anthropogenic climate change, the ranges of the moths are constant). They say “most species (n = 109, 80% of the species considered) expanded their upper boundaries upwards (by an average of 152 m) more than they retreated at their lowerboundaries (77 m).” That is interesting, because it means that the ranges of these species have WIDENED, which doesn’t argue very convincingly for threat of extinction! It is all rather unconvincing. Factors other than average temperature may also have changed on the mountain over 42 years. Again, I don’t buy the argument which says “don’t blame us for doing it, everyone else is doing it too!” My concern is with the way that climate change funding politics has negative impacts on the quality of research in taxonomy and related sciences (ecology, etc.) Exoplanet research is somebody else’s war to fight, not mine. Thinking a bit more about the Chen et al. (2011) study, I would now definitively place it in the garbage! Even assuming that the altitudinal ranges of the moths are a simple function of local temperature, they don’t have temperature records for their study site. It seems entirely plausible that the effects of quite natural local temperature fluctuations will drown out any effects from a small increase in global average temperatures (i.e. “climate change”) over the last 42 years. So, if they sampled again after 2007, they might well find that a downwards fluctuation in temperature has shifted the moth ranges downwards again. Effectively, they only had a sample size of n=2 (i.e. 1965 and 2007!) They have simply imposed a climate change interpretation on their data. The Wiens study in PLoS ONE simply uncritically compiles together the results of other studies , making it unlikely that anyone will bother to go back and check them all. Something about the declaration “Funding: The author(s) received no specific funding for this work” sounds a bit dubious to me (as if they don’t want to be seen to be funded by climate change research). There are at least four “gravy trains” on the tracks at the moment (two of them are global, two of them are just local). The global ones are “climate change” and “open access”. The local ones are “Marsden Fund” and “Predator Free NZ”. What they all have in common is putting primary importance on scientists rather than on the science. Science becomes just whatever leads to a better funding environment for scientists to make a good living. As the pika seems to be the darling example for localized extinction, and the six year old paper is supposed to be behind a paywall, we have no way of assessing its validity. However, taking the standard lapse rate, are we really supposed to believe that the summer temperatures in those regions are going up by 1.5°C per decade? Doing a Google search seems to turn up a lot of articles that all cite the 2011 paper. Though I do note this blog article http://landscapesandcycles.net/pika-not-endangered-its-fear-mongering-.html takes the methodology to pieces – showing it does what Stephen has been alluding to – if no threat, no funding. That sums up the concern well. 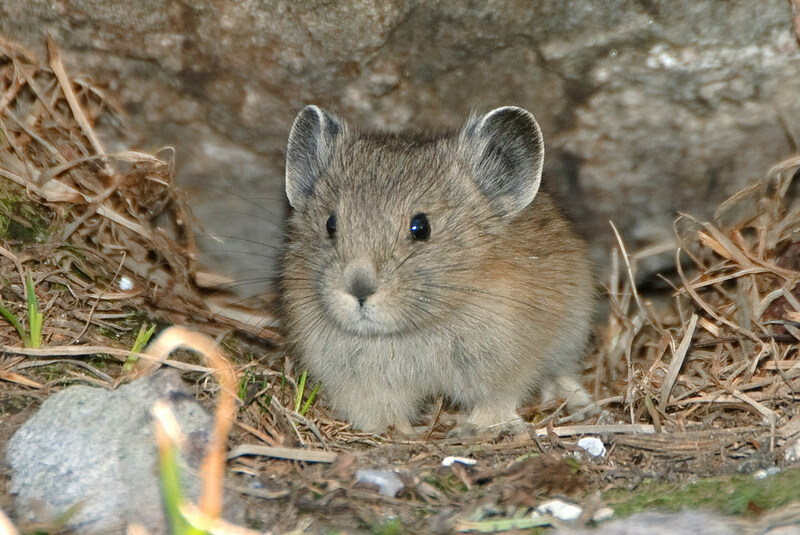 Donate now and save the pika from climate change extinction! I hope Beever goes extinct instead of pika! Just to bring the discussion back from total generality, my initial comments, highlighting a particular MSc project, were intended to flag a case in which a “climate change” banner project actually made no sense at all. Other projects may be unconvincing and/or inconclusive to more or less of an extent, but that is in some ways the very nature of science. Following sensible enough methodologies can (and usually do) lead to less than conclusive results, but in the case that I highlighted, the methodology/experimental design wasn’t even sensible! Has the “post truth world” really gone that far now that it no longer matters if a science project is garbage, as long as somebody gets something out of it, i.e. another successful student passes through the university system, gaining a qualification to be used for employment opportunities, and there is facilitation of more profitable turnaround of public funding? Does science equal expediency nowadays? I’m still waiting for someone, anyone, to come back to me and defend the experimental design. Instead, all I’m getting is that public money gets wasted all the time, so why am I making a big deal of this particular case?